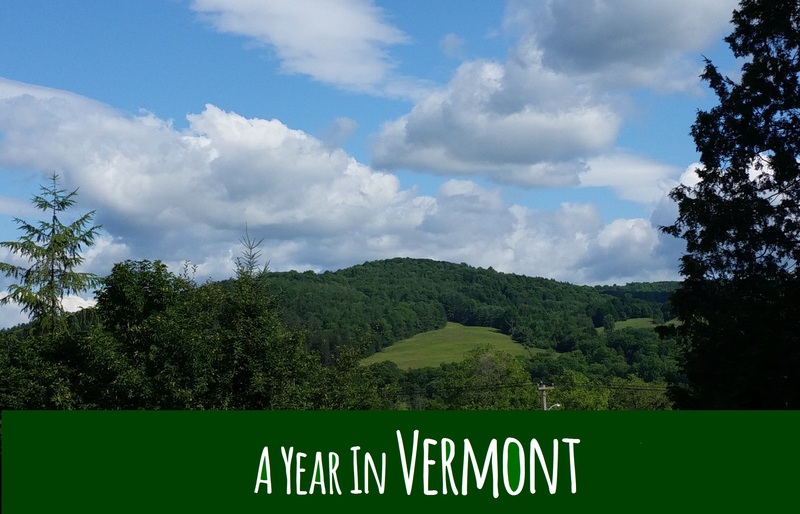 The short version is that we came to Woodstock, Vermont (“the prettiest little town in America”) on vacation in January 2015 and loved it so much I convinced my husband to drive by a few listings on our way out of town. Within three months we had purchased a fixer-upper that we intended to serve as a second home/rental property. We arrived this past summer to work on it, and then we decided to stay. Then we decided to move and buy 2 home offices a bigger house and sell the one we were living in (in San Diego – not VT, yet). Should I mention that we found and bought that house within an 18 day escrow period? Truly, in one month we went from planning to remodel our old house to finding our “dream house,” buying it, packing up our life and moving. It was nuts. Within 1 week of closing I had the floors refinished, baseboards installed and master bath gutted. We did the demo before we moved in an attempt to limit the mess we’d have to live with AND because I was worried that, if we moved in first, we might end up living with the ugly brown bathroom with the slow shower drain and weird sliding glass door to the backyard opposite the toilet for a long time. I mention this because it now seems like a pivotal decision point in our ending up on moving to the opposite side of the country. My husband was on the road the week the movers came and our son conveniently spiked a fever and an earache at midnight the night before, so that at 1 AM I unpacked a pan and was simmering garlic and onion in olive oil for a naturopathic compress. By 2 AM we were at the drive-thru pharmacy to buy children’s Motrin with hopes of sleep pain relief for him. The next day I negotiated a six figure settlement by phone from our new driveway while our son (thankfully earache and fever-free but not at SCHOOL) played on the loading dock of the moving truck and the movers struggled by with our mattresses. It was 90 degrees; neither house has A/C. We moved in early September of 2014 and thus embarked on a remodel worthy of Dante’s Inferno. We hired a family friend as the contractor (mistake #1), didn’t insist on a contract (mistake #2), agreed to pay him on a time and materials basis vs. fixed bid (mistake #3), forked over tens of thousands of dollars before we received an accounting three months later (mistake #4) and…I’m sure there are more mistakes we made, but you get my drift. I promise we’re not idiots. Whether the stress of the move caught up to him or something else was going on, I’ll never know. But late Oct-early Nov were filled with calls from my son’s school asking me to pick him up early because he wasn’t “having a good day.” Don’t get me wrong, I LOVE my son’s old school and teacher. They recommended we consult a doctor we had worked with in the past to see if anything out of the ordinary was going on. She told me that his behavior was likely tied to me being ‘depleted’ and that I needed to take better care of myself. Ha. Let me just say that keeping my job/keeping house/paying the bills/managing a remodel and being on call to pick him up on a moment’s notice did not facilitate self-care. By December my adrenals were burnt out. We had been sleeping in a master bedroom with plastic walls (literally – nothing but plastic sheeting on one side) that would make an annoying “pop-POP” sound every time the winter wind kicked up at night. The construction wasn’t even close to being done and we needed to escape. Our son had been asking to see snow and I first considered Yosemite because, you see, despite being lawyers we are campers (in 2013 we resolved to camp once a month and we did it. Holla!). But, California being a DESERT, Yosemite was dry as a bone. So then I e-mailed my SIL and asked “you know those picturesque photos you posted last year on Facebook? 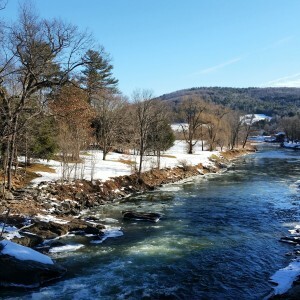 Where was that?” To which she replied, “Woodstock Vermont! You’d love it!” So we cashed out our miles with Southwest and left the day after Christmas. Thanks so much, Jora. I love that you’re the first to comment. Hugs back. Back atcha, Sarah. And thank you. The things we do for our kids, right? Thank you, Kim! I need to make time to finish putting the back story to paper. Selfishly, I hope your travels bring you East soon. We have a guest room – and soon we’ll have 3! 🙂 Hug. so wonderful that you are blogging about this year…it is of so much interest to all those you left in Cali b/c the pastoral life you are living there is so much different than here! Keep up the beautiful writing. Thank you, Siri. I’m so excited you got to experience (and validate :)) it a bit this summer. I hope more adventures are in store for you this year. Thank you, Ruthie. Love back! Hola. I'm Elizabeth, and I recently persuaded my family to leave sunny San Diego for the verdant hills surrounding Woodstock, Vermont. Some say I have an adventurous spirit, but most of the time I'm just listening to my gut. Thanks for reading.